The nice thing about being part of the "trusted" hardware media is that you get to see the genesis of products from their first concepts to the pre-launch displays. 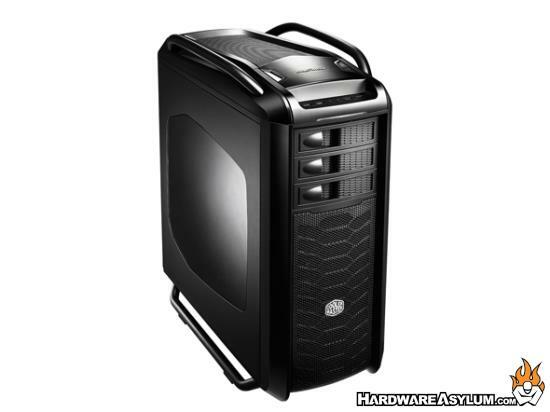 The Cooler Master HAF Stacker is one such case that I first saw at CES. To be honest I wasn't really a fan of the design but it has potential, especially in the modding community. I think we have all thought at one time or another that if we could just build a case that we wanted it would bee so cool. Or not having to cram in all your hardware, water cooling setup, hard drives and all the wires and cables that go with it. Cooler Master must have been thinking the same thing and came up with a totally new idea for the computer case market. 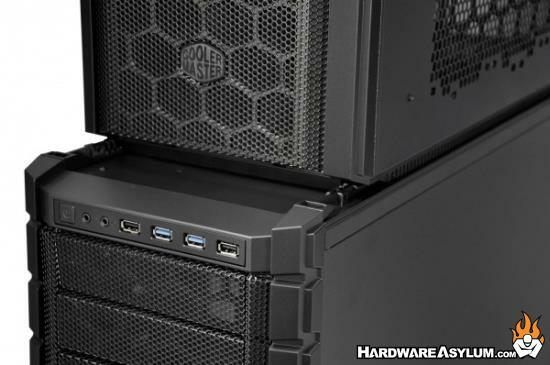 The Cooler Master HAF Stacker 935 is like nothing you have every seen before. Now for the real question, why didn't we get one for review?? Our friends over at Techgage have an interesting article about the new Surface. By now most of you know that the Surface 2 has been announced and that from a hardware standpoint it is much better than the original. The problem is the device is still being released by MS and is hurting the hardware OEMs that use the Microsoft operating system. Microsoft has been making a lot of weird moves lately, but the strangest of all has been its release (and now re-release) of the Surface tablet. With Steve Ballmer now out of lives, we take a look at his strange vision of Microsoft’s future – and how it has affected the company. Techgage has their own take on the MS direction and Surface. An interesting read to say the least. I guess flying a bunch of hardware reviewers to Hawaii for a press launch is a good way to ensure ample media coverage. Be sure to check out our review of the MSI R9 270X Gaming card. A Hawk or Lightning edition would have been more fun to review but, what can you do. Borderlands 2 has been out for over a year now and since then they have released two vault hunter upgrades and the first DLC that wasn't included in the Season Pass. I will admit that I do enjoy playing the game and find myself farming for gear but I think it's a little early to be releasing a GOTY edition considering that they have already planned even more DLC and the one already out isn't even included. I have purchased or acquired most of what comes with the GTOY that except for the Creature Slaughter Dome (which I understand is a waste of money) and some of the collector heads and skins. To be honest I'm just about burned out on the game, I just reached Level 72 with one of my characters and have completed the entire came more times than I care to mention. I have the option to overlevel but I really don't see the point. Hate to say it but, it might be time to put it to pasture. Personally I still don't have an SSD in my main system but I know a few who do and most of them use Vertex. These drives have gotten rather popular in recent months and I wouldn't expect a slowdown anytime soon. I tried for years to review Patriot memory in the early days only to get snuffed by the "we don't need any 3rd party opinions of our products". Then, when I did get a few review samples my "crew" f-ed me over and stole all the gear. Sadly that hasn't changed my opinion of Patriot and had they spent more time promoting their products they wouldn't be suffering. So why say all that? Well, would you have stuck around long enough to read that Patriot memory is one of the best for super high-end overclocking? Seems strange but it comes down to the chips they use. Patriot has been in the market for a long time but it is the lesser known little brother in the memory game. However this has not kept them from making some very cool memory models among other devices such as USB flash drives, mobile wireless storage and even a Android powered set top box and im sure many more things I cannot even think of right now. But without getting too crazy off topic what we are looking at today is their model from the Viper III series labeled “Black Mamba” which is very nice looking sticks with aggressive heatspreaders and a very aggressive speed/timing configuration. Being named Black Mamba I could only assume means to assert the aggressive and deadly power these sticks hold within. Nothing like getting off topic the "hook" from the publisher, isn't that supposed to draw the reader in to learn more about what they have to say? Ever wonder how the better half live? Well with a processor like this you would know. I ended up buying the 3960X last round and thought I was h0t shi+ until I found out the 3930K overclocked better and was cheaper to aquire. Decided against going with the top dog this round for that reason. I've been seeing a few 6Ghz 3D stable 4930K's out there so I might end up buying another just for "fun"
Chino, California – September 24th, 2013 – Cooler Master, a leading creator, innovator and manufacturer of desktop components and more, today proudly launches the newest addition the ultimate line of premium cases, Cosmos SE. Contained within the desirable exterior of the Cosmos SE is the support for truly exceptional system builds. Cosmos SE comes capable of supporting up to 8 fans with four being preinstalled. Two 120mm blue LED fans in the front with LED on/off control, one 140mm fan in the top, and one rear 120mm fan provide strategically placed cooling for all of a user’s systems components. Superior liquid cooling support is built in for 120, 240, 280, and 360mm radiators with users being able to install a 120, 280, and a 360mm radiator all at once. Users with light to massive storage needs will find their needed balance with support for up to 8 HDDs / 18 SSDs via removable HDD/SSD cages. The Cosmos SE supports multiple high-end graphics cards up to 395mm / 15.5 inches long and even support for tall CPU coolers up to 175mm / 6.9 inches. Proper system maintenance and clean cable management make a large difference in system airflow and performance. Cosmos SE ensures that system maintenance will be easy with multiple removable dust filters placed in the top, front, and bottom. To ensure that system airflow stays optimal, many cable pass-through areas and a large rear cable management space of 34mm are provided to make it easy to route cables in a more efficient manner. Price and availability may vary based on region. This release is meant for US only. Please consult your local Cooler Master Representative for more information. It has been five years since the last Grand Theft Auto hit the shelves and may fans of the series have been hungrily waiting for the next installment. Sales figures put worldwide sales at $800 million on launch day and $1 Billion after three. Talk about kicking COD in the balls. Take-Two Interactive announced today that based on internal estimates it believes Grand Theft Auto 5 sales have surpassed $1 billion during its first three days at retail. According to the company, the game is the fastest product to achieve that milestone. If the estimates by the Rockstar Games' parent company are correct, it will have beaten the already ridiculous achievement by Call of Duty: Black Ops 2 last year, which hit the billion milestone in 15 days. Sadly, and I said I wouldn't do this, I helped pad those figures but not until the following week. Say good-bye to my free time and, likely any fresh news posting. CITY of INDUSTRY, CA (September 10, 2013) – CyberPower Inc., www.cyberpowerpc.com a global manufacturer of custom gaming PCs, gaming laptops, and performance workstations, today announced the addition of Intel’s new Core i7 processors, codename “Ivy Bridge-E”, to its lineup of enthusiast and performance class gaming PCs. Among the list of CYBERPOWERPC systems to incorporate the powerful 4th Generation Intel chip includes the Fang III Black Mamba and Cobra, Zeus EVO Storm series, Pro Gamer FTW, and Power Mega III high performance workstations. The E in Ivy Bridge-E stands for enthusiast as all three processor options are unlocked and ready for overclocking. Customers have three amazingly flexible and powerful CPU solutions – the quad-core i7-4820K; the six-core i7-4930K; or the king of the Core series, i7-4960X six-core processor – the ultimate weapon when users demand unrivaled PC performance for gaming or work. The new Intel Core i7 processors also feature the advanced technology you’ve come to expect from Intel including Intel Turbo Boost Technology 2.0 that provides the extra burst of speed for demanding applications and Intel Hyper Threading to ensure smooth system operation and multi-tasking. You can also take your computing to the next level with CYBERPOWERPC’s expert venom boost overclocking option that can boost your overall CPU speed up to 30%. CYBERPOWERPC has your cooling covered with a wide variety of water cooling solutions including its Advance Hydro Liquid Cooling Kit with 480mm radiator or the dual pump Advance Hydro 2 system. 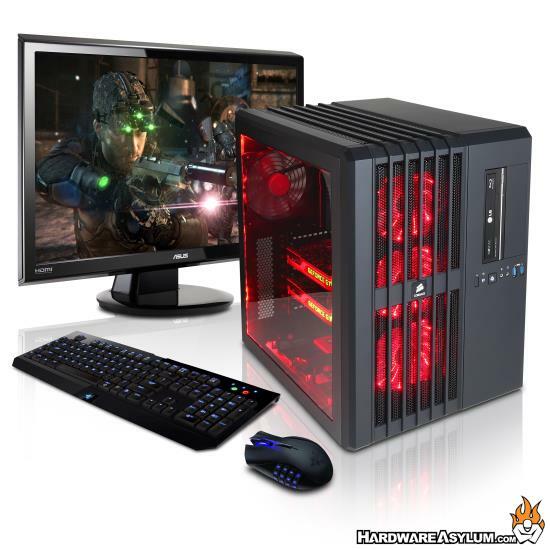 The base price a CYBERPOWERPC gaming system featuring the new Intel Core i7 Extreme Edition starts at $1,859. All Core i7 Extreme Edition models can be customized with a number of performance hardware and component upgrades such as CPU/GPU upgrades, solid state drives and storage hard drives, performance memory, peripherals and business software to enhance your productivity, and more at the company’s website, www.CYBERPOWERPC.com. All CYBERPOWERPC desktop systems include an industry best 3-year limited warranty.